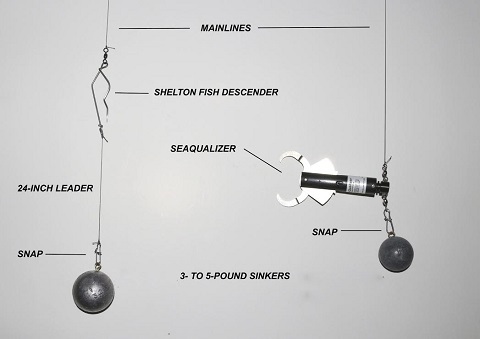 It’s not very often that New Year’s Eve falls on the day that this fish column comes out, so you definitely don’t want to be caught red-handed without your new 2017 fishing license ($38.00) and your adult combined angling tag ($35.00). If you wish to crab or pursue clams, mussels and other shellfish, you will also have to purchase an annual shellfish license ($9.00). That being said, the Oregon Department of Fish and Wildlife will be celebrating the end of the old year and the beginning of the New Year with another free fishing weekend. On Saturday, December 31, 2016 and Sunday, January 1, 2017, anglers can fish, clam or crab for free. On these two days, you are not required to purchase any licenses or buy any fishing tags or endorsements. There will likely be at least one more additional free fishing weekend later in the year. 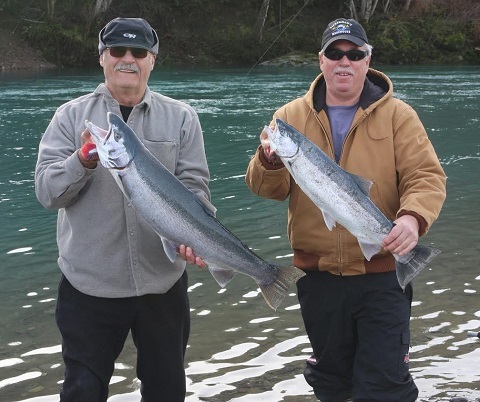 January has always been considered to be peak season on the Chetco River for winter steelhead. This year has been no exception. However, action on the heavy metalheads was somewhat curtailed last week due to extremely-cold water temperatures. That being said, Martin has still been managing to sucker in a few willing biters every day he’s fished the Chetco. Fish are now all throughout the system with fresh chromers being caught from the gate hole all the way up to the South Fork by fishermen deploying all steelhead techniques. The lower Rogue River was kicking out some monster steelhead before the end of the year, with ice-cold water also slowing down most of the action. However, dedicated plunkers and jet sledders have been hooking into some silver-bright Chromezillas. 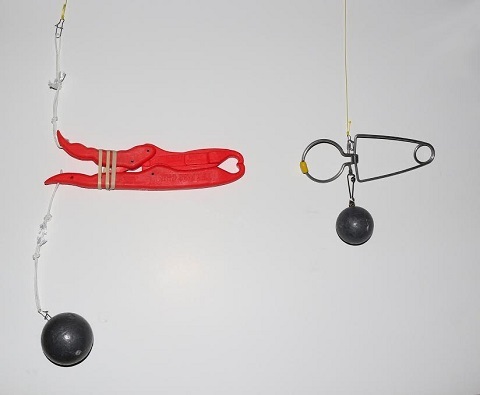 Carey says that at the beginning of last week, the majority of productivity was coming off the bank, with plunking leading the pack in fishing techniques. But now that the water is starting to clear, the tide has turned. Carey says that as of last week, about 85 percent of the steelhead have been wild with 15 percent being hatchery metalheads. The ratio of hatchery-fish numbers should start climbing as the New Year progresses. Up until December 31, all wild steelhead were required to be released on the lower Rogue. But as of January 1, anglers fishing the lower Rogue may now begin keeping wild steelhead, but with certain restrictions. Wild fish must be at least 24 inches in length, with the limit for wild steelhead being 1 fish a day/5 fish per year. Carey says that the Mag Lip has been catching a considerable amount of steelhead toward the end of 2016, so the beginning of 2017 should not be any different. Carey says the size Mag Lip you decide to use will depend on the turbidity of the water, with the Mag Lip 3.5 being used in more turbidity, with a lot of people down-sizing to the 3.0 as the water clears. “And we’re getting calls for the 2.5 for sure,” Carey commented.